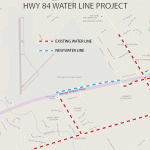 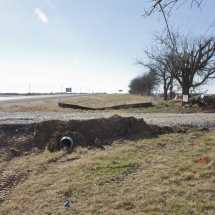 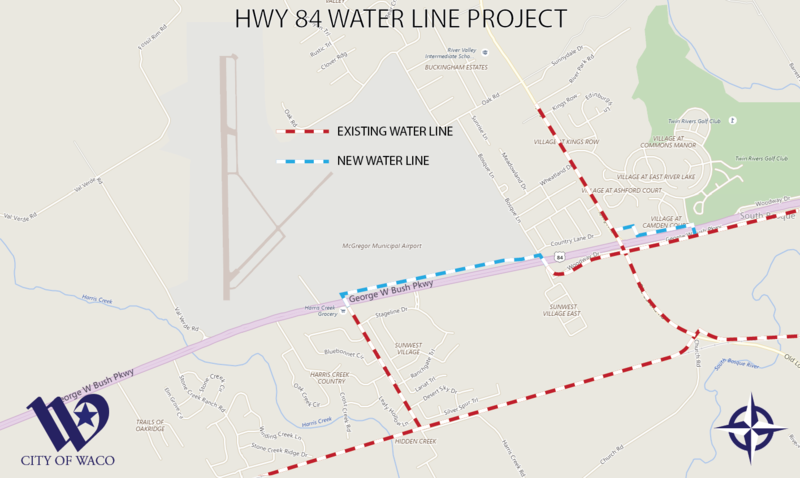 TXDOT is widening Highway 84 to accommodate increased traffic and this necessitates relocating water and sewer lines. 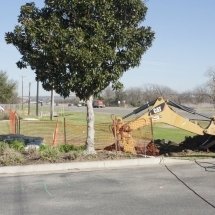 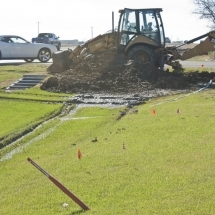 This will also allow improved service to existing customers by providing a redundant feed of water to the area, as well as providing new connections for the City of Waco’s wholesale customers. 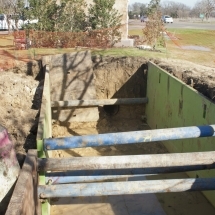 We anticipate that Bosque Lane will be closed and traffic will be detoured some over the next few weeks.